Visit their store where you will find a large selection of wonderful images that will bring a smile to your heart. Hello, thank you for stopping by, today a new challenge begins at the Julia Spiri challenge blog with the theme being Love is in the Air. I'm using the image Venetian Butterfly one of her images from the Venice Collection you can find them here at the Julia Spiri Etsy Store where you will find a wonderful selection of beautiful images. Colored with Copics and Prisma colored pencils. A new Challenge begins today at Crafting for all Seasons with the theme being "Use 3 of Something" and I chosen to use 3 of the same flowers from a punch. Our wonderful sponsor for this challenge is Scrapper's Delights Store where you can find an amazing assortment of beautiful images. 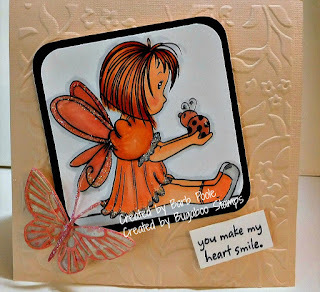 On this card I'm using Rosalie Fairy, she is so very pretty. The fairy is colored with Copics and touched up with Prismacolors. The background I stamped with a script stamp 3 times, embossed with clear, sponged various Distress inks . This is a card I did for the progressive challenge on Sandra Caldwell's Facebook group, the image was given to us who took part in part 1 and 2 of the challenge. It's named Love the Irish You can find it in Sandra's Etsy shop along with so many more wonderful fun images. There are still 2 weeks to go if you would like to take part in this challenge. A new challenge begins today at Come and Get It with the theme being Love is in the Air. Our wonderful sponsor for this challenge is All Dressed Up where you can find a beautiful variety of digital images. The one I chose to use is Kiss For Valentines. I hope you will come and share your creations with us as I enjoy visiting your blogs and gaining inspiration along the way. This cute image called "Bearly a Headache", comes from Sandra Caldwell on Etsy. She made this image specially for her good friend, Holley, who has been seizure free for 6 years after brain surgery. 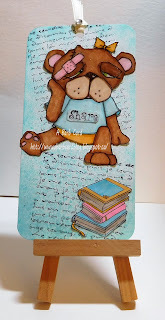 Holley is having a bookmarker challenge on her blog using this image. Colored with Copics and the way she is sitting I decided to give her some pants too, then cut to 3D, sprayed the background with Shimmer Spray, script and book stamps (3D) are from my stash. Then using a brush to seal it all with a bit of a shine. 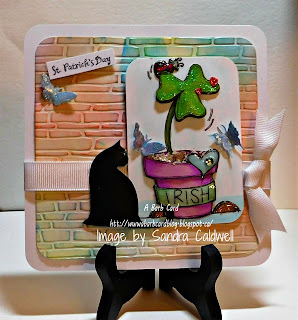 This is my creation for the new challenge at Julia Spiri's Challenge Blog. The image is My Heart and a part of the Love is in the Air Collection where you can find the other images that are a part of this collection plus so much more at Julia's Etsy Store. 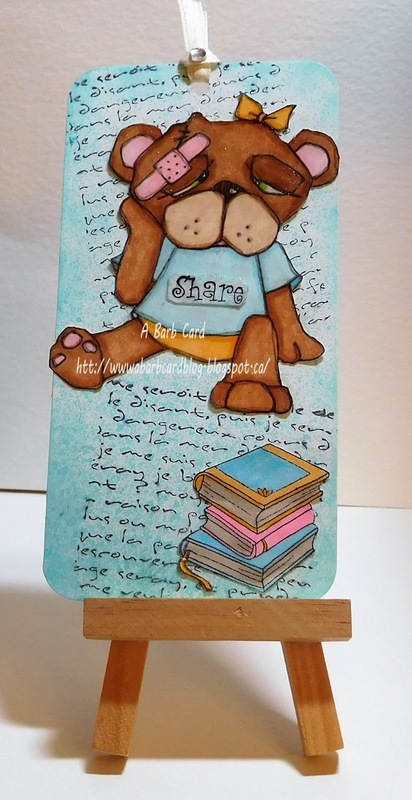 I do hope you will come and join the challenge sharing your creations with us as I do enjoy visiting your blogs gaining inspiration along the way. Julia also has a Facebook Group where a different challenge is taking place. As You Like It: One Layer or Multi, I lay multi layering it gives a card substance. 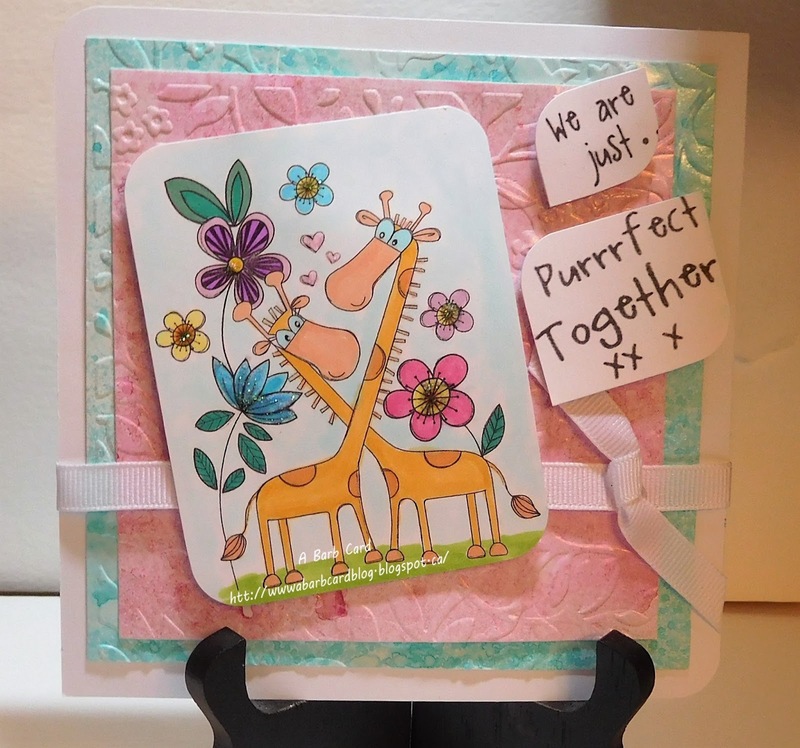 My inspiration card for the new challenge today at Crafting for all Seasons and the theme is: Love is in the air. 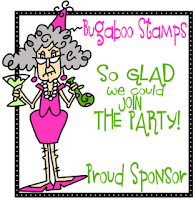 Our wonderful sponsor is All Dressed Up Stamps and this little darling is named Sweetie. She does have the sweetest little face. I hope you'll come and share your creations with us, I do enjoy visiting your blogs and gaining my inspiration along the way. She is colored with Copics, cut and 3D with a circle die and double foam taped to have her stand out. The little heart is from a Martha Stewart punch, sentiment is from my old stash and embossed with cuttlebug.